MY GRANDMOTHER IS NOT DIED BY OLD AGE, SHE DIED BY AN DISEASE SHE HAVED. I KNOW THAT MY AUNT DID SEE HER DYING IN THE HOSPITAL. 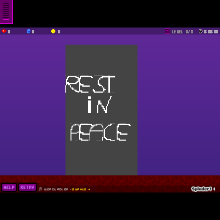 REST IN PEACE, GABRIELETHEMAN'S GRANDMOTHER. (5/12/2016) Now today i went to hospital and i see her dead body in an coffin. On 6/12/2016 we went to her funeral. And see her coffin getting buried and the coffin gets covered by dirt.